Well, they added CPA offers for mobile traffic so we can take advantage of the mobile traffic because they cant install the .exe! Anyone got any? I didnt. few leads from usa.. but low pay 1-1.5$ ..
(2014-07-07, 06:22 AM)coiosu Wrote: few leads from usa.. but low pay 1-1.5$ .. It was from mobile? are you sure? 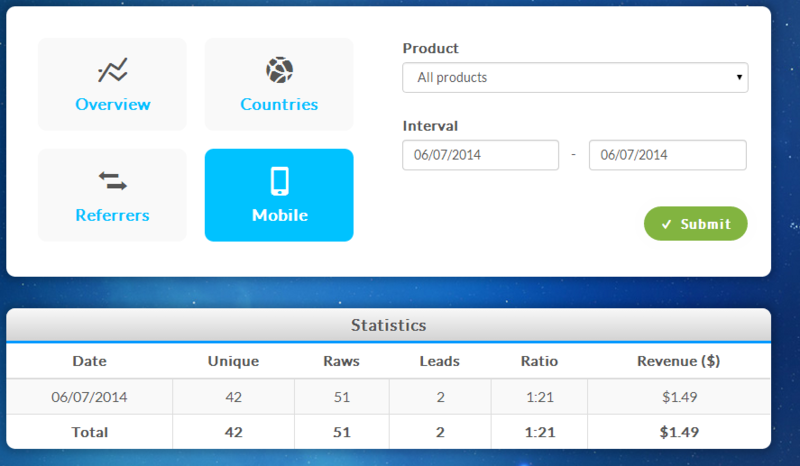 yes.. leads was from mobile traffic .. Cool. I wanted to be sure that is working. 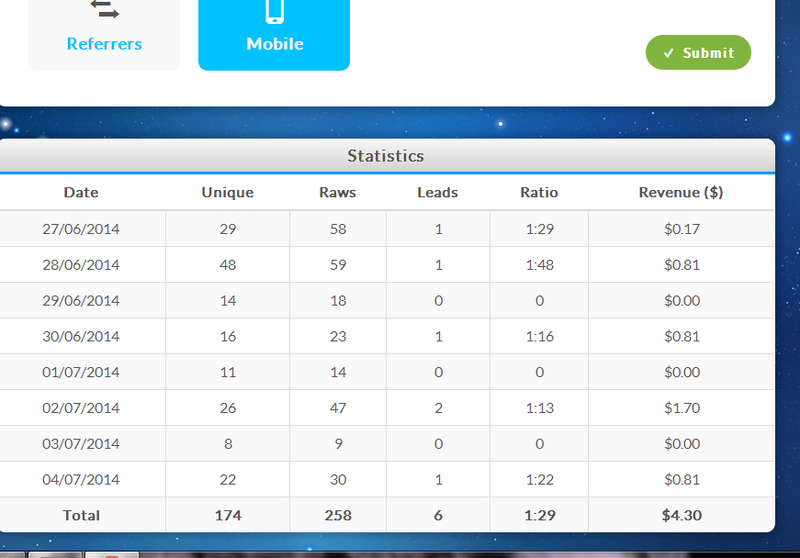 I've had few leads from mobile traffic, it's not big payout tho..